Goose stole our hearts the moment we met her. It's with a still heavy heart that I write this, but I have to try and put into words the emotions from this past week. 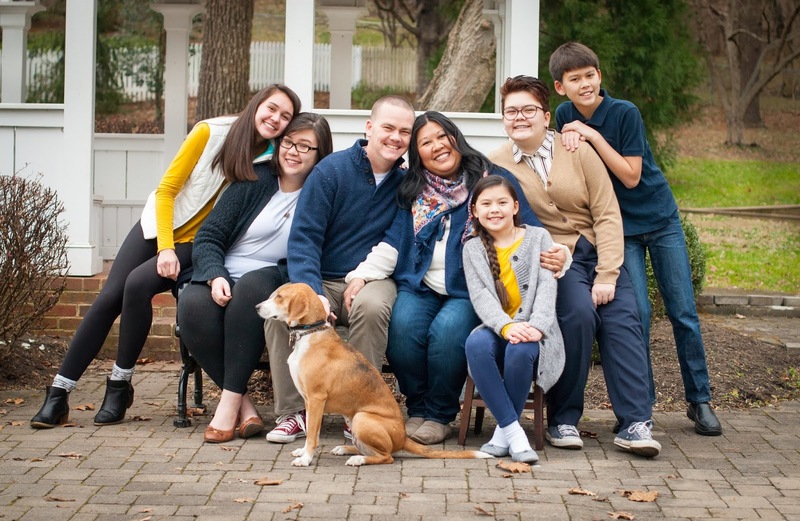 Our beloved dog Goose died this week. Sometimes it seems like just yesterday that Goose joined our family and brightened our lives with her crazy hound dog antics. At other times it feels like she had been with us for years and not just the short 15 months that she was ours. We all cried when we found out on Wednesday that someone had found our dog's body by the railroad tracks. I took some comfort in knowing that her death was quick and that she did not suffer. Needless to say, this has been difficult for all of us. We loved Goose with everything we had, she was an integral part of our family. 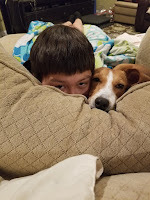 We don't know her exact circumstances before she joined our family, but given some of her behaviors, I am confident that she did not get the same level of love and affection that she enjoyed in our home. Mali said it best about Goose when she told me, "Goose wasn't a perfect dog, but she was the perfect dog for our family." It's so true, and that's why losing her hit us so hard. We had expected to have another 10 years or more, and to have her suddenly gone hurts. It's doubly hard for me because I am on the other side of the world and unable to hug my family and cry with them. There is a part of me that feels like maybe I'm being overly dramatic, especially when I consider people I know who have lost a family member, like a parent or a child. This is the first time I have experienced such a sudden loss, and it is difficult. As I have had time these past few days to think and ponder the meaning of our mortal experiences, however, I have been grateful for the blessing of knowing maybe a little better the pain that others feel when something like this happens. Hopefully this will make me more sympathetic and more caring when others are grieving. She always had my six. So we say good-bye to our Goose, and she will forever be a part of our family. She brought us so much happiness and I am eternally thankful she was ours. And I am grateful for my family and their willingness to open their loving hearts to Goose. So one last time: talk to me, Goose. We love you. I am super judgmental. My kids know this and especially admonish me for comments I make about other drivers. In my defense, I tend to drive as if every other driver on the road is either distracted or an idiot or possibly both. This approach has worked well for me as evidenced by the fact that I have only hit one other vehicle in my life: the 80-something-year-old lady made that turn way too fast for me to stop on wet pavement at night. The two motorcycles that hit our van in Thailand were in fact idiots. I rest that particular case. Back to the point of me being super judgmental. Nothing seems to bring out the super judgy in me quite like the airport. And flying international seems to make it even worse. Don’t believe me? Read here and here. One trip, two international airports. Hyper-judgmentality in overdrive. Don’t get me wrong, I’m not ranting about people who are dressed in what by most standards would be considered normal, appropriate everyday attire. This is my first time transiting through Dubai, and the men in their robes and head coverings and the women with their robes are all pretty cool to see. This is after all, their part of the world, and it’s entirely appropriate. So yeah, be comfortable when you fly, but I am ranting about the dude I saw at the airport in Boston. My friend, please, there are children at the airport. Your brotastic man bun, two-week patchy beard, short-sleeve henley unbuttoned to display your chest fur, adidas soccer warmup pants, down to your brightly-colored patterned socks and your shiny leather loafers with the gold hardwear...I just...I can’t...my head is exploding! It’s like you couldn’t quite decide which hipster/millennial stereotype you wanted to represent, so you put them all together in a glorious train wreck of a fashion mashup. All you were missing was a locally-sourced mocha latte and a slouch beanie (which, to be fair, you might have had stashed in your backpack). Just pick ONE theme and go with it! Think of the children. Do it for them. On the positive side of things, the local Coca-Cola brew tastes different to me, which is probably a good thing. I drink too much Coke. 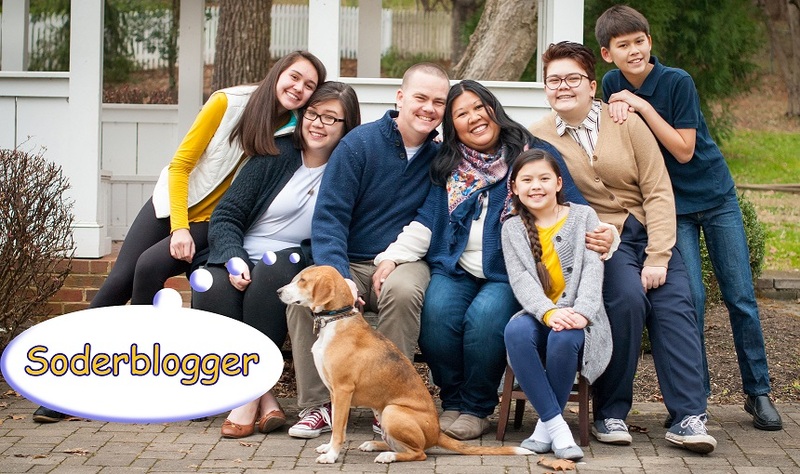 It recently--as in just this afternoon--came to my attention that one of the unnamed members of my family was a little hurt when picture in the header of this blog was changed to a photograph that no longer contained the family. How was I to know that putting a picture of me with a huge fish would cause so much angst among my progeny? 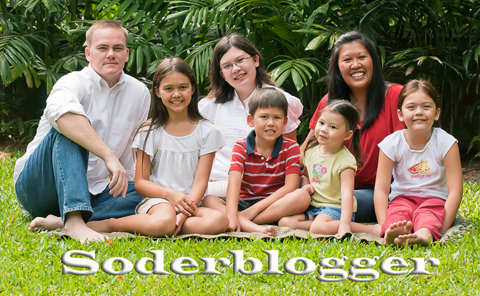 Anyway, in the spirit of nostalgia, and mainly for my own entertainment, here are the series of pictures that have graced the header of Soderblogger since its inception in 2009. 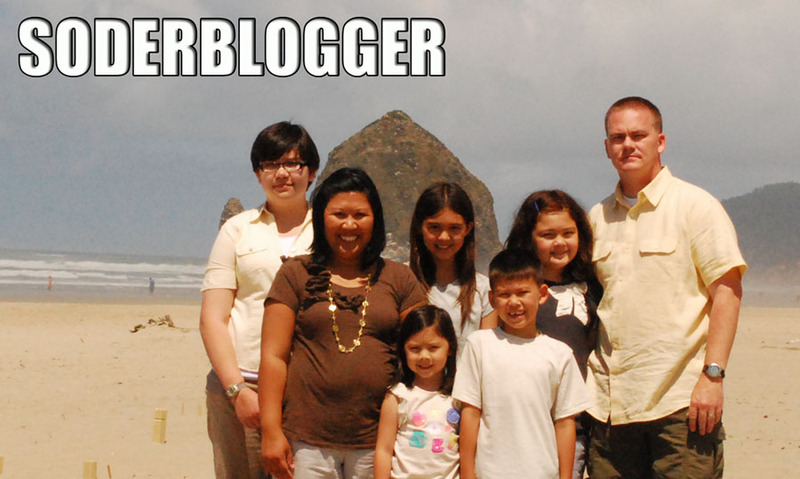 The original 2009 Soderblogger photo. Look how little the kids were! This was before we went to Thailand. Right before we went to Thailand. 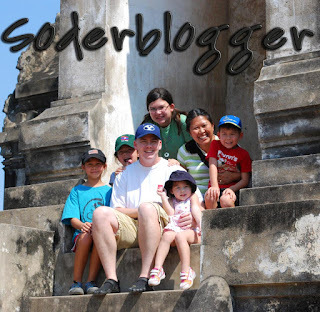 Early 2011, family photo at the ancient Thai capital of Ayutthaya. And yes, I am wearing FiveFingers. Mid-2011 on the grass in front of our house, right before we left Thailand. 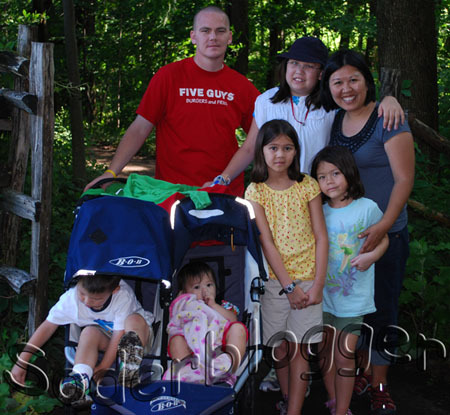 The kids were still much smaller than they are today. And fortunately there were no snakes in that grass. 2013 at Cannon Beach in Oregon. The sun was obviously very bright and in everybody's eyes. Not at all like that rainy day when The Inferno emerged courtesy of The Goonies. 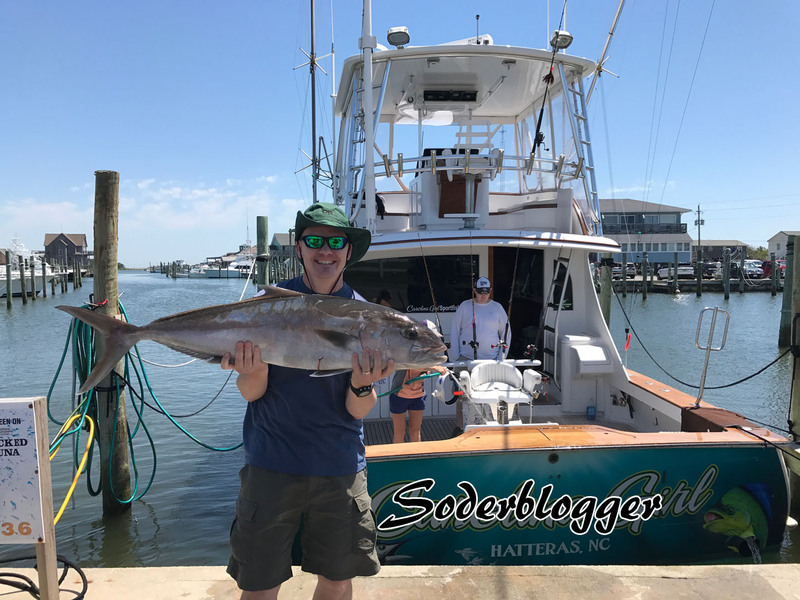 2017 with the massive amberjack I caught. And no family because apparently I'm a heartless, cruel man, hence this update. 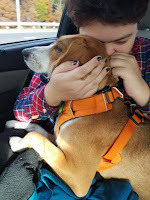 I very briefly mentioned back in October that we got a dog. Her name is Goose, named by my daughter Maggie after the character from Top Gun. Hopefully, our Goose does not end up in a flat spin that results in her untimely and tragic demise. I probably should have included a spoiler alert for those who haven't yet seen the cinematic genius that is Top Gun. My apologies. 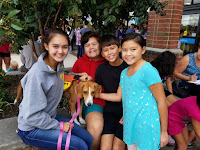 The kids have been asking for years if we could get a dog, and last fall Mali decided that the time was finally right. 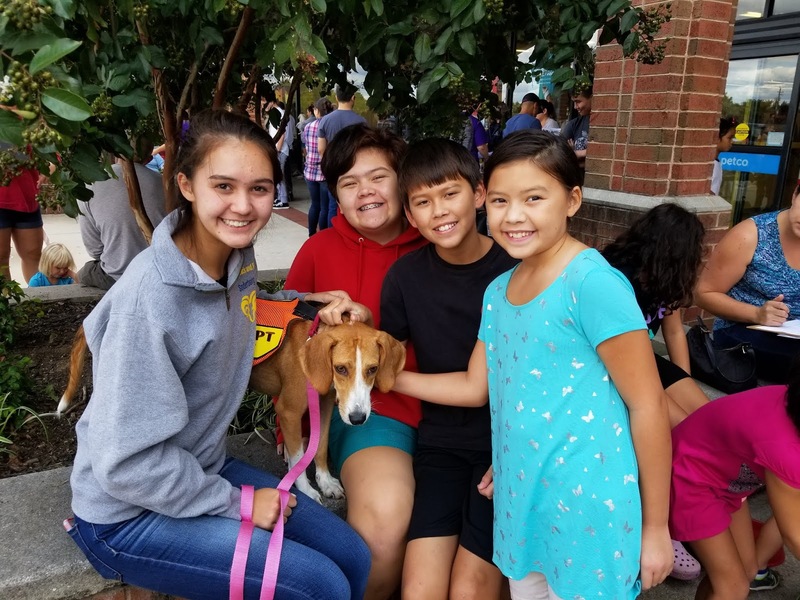 We started looking at shelters, adoption agencies, and breeders and doing lots of research to determine the characteristics we wanted for the Soderborg family dog. The kids would print pictures of dogs they found and put them on the wall and they were all voting for the dogs they liked best. I really only had one requirement; the dog had to be able to go running with me. We adopted Goose from an agency that had rescued her and her four puppies from a shelter in North Carolina. At just about 15 months old when we got her, having puppies means she's the canine equivalent of a teenage mom, so she still has a few puppy-like tendencies we're working on. Goose is a foxhound-beagle mix and displays characteristics of both breeds, but from what I can see she leans more heavily towards the foxhound in her physical appearance as well as her temperament. One thing that means is that she can run, thereby fulfilling my single requirement. And by "she can run" I mean that Goose is built to run all day long and she simply loves it. If I try and go for a run without her, she gives me those sad hound dog eyes and makes me feel totally guilty. For example, just last night I got home from work and there was enough light that I thought, "Hey, I'll sneak a quick run in before the snow starts and that'll be awesome." Goose was in the basement keeping an eye on the kids while they watched a movie, which really means that Goose was falling asleep. But as soon as she heard the sound my Suunto makes when it has the GPS synced up, she came bounding up the stairs, tail wagging a million miles an hour--check that, her entire back end wagging a million miles an hour--with that look that says, "Oh boy, oh boy, oh boy! WE'RE GOING RUNNING!" I'm pretty sure that if Goose could talk, that's what she would say. And what kind of a monster would I be if I denied her the joy of going out and doing pretty much what she was put on this earth to do? Did I mention that not only does Goose like to run, but she is fast? I wanted to know exactly how fast, so I put my Suunto on her collar the other day at the dog park and she clocked in at 18.5 miles per hour, and she didn't even hit her top speed. I blame the other dogs at the park that weren't running full speed either. Yeah, so when Goose does get away from us, we're not going to be able to catch her unless she lets us. How can I be so sure? Because she somehow got off the leash while I was walking her last week and it took more than an hour to get her back. All in all, we are so happy to have Goose in our family. She's pretty much the worst guard dog ever, thanks to her bloodlines that make her very friendly to people and other dogs alike. That same temperament makes it much easier to get her back when she does get away from us, however. Aside from barking at us when any one of us is sitting at the table and eating alone, Goose is a really good dog around the house. We're still going to work on some obedience training, with the ultimate goal of being able to take her with us hiking and camping off leash so she can run around and be happy but still come back to us. I also have a goal to take her running long enough to find the bottom of her gas tank, but that's going to take extensive training on my part. You know, like training for a 50-mile race. As every year comes to an end, it is customary to review the events of the year and wax nostalgic about all the wonderful experiences you had. Yeah, I'm not gonna do that. I'm supposed to be putting together a family calendar, but I decided to do this instead. Don't tell Mali. This past June I had the opportunity to travel to Thailand and Laos. As many times as I've had the opportunity to travel to these amazing countries, each time I see something new and fun, and this trip was no exception. Please enjoy this photo essay. Loved the three stickers on the inside of the commuter van. From left to right they read, "If you tell me too late, you'll walk a long way. If you tell me on time, you'll be spot on." "Welcome!" and "If you don't tell me, I won't pull over." It's a lot funnier if you've ever been a passenger on one of these commuter vans. It's quite the experience, let me say that. McDonalds in Bangkok has a Signature Collection line of meal deals that include a black box for the french fries, a clear cup for the soda, and the meal served on a wooden breadboard. In my defense, I had to try this because it was dubbed the "Nam Tok Burger"--it was basically a Quarter Pounder with Cheese, only instead of a beef patty it had a pork patty and had a sweet chili sauce instead of cheese. You know, same-same but different. This was staring me right in the face while I was enjoying my Nam Tok Burger at McDonalds. I'm not sure they really understand the concept of pricing to clear a store that is closing down. I mean, on a regular day I would expect to buy one and get one. I suppose it could be worse; at least it didn't say, "Buy 2 Get 1." Because that would not surprise me at all in Thailand. The three languages at the bottom demonstrate the hierarchy of construction workers in Thailand. From top to bottom: Thai, Khmer (Cambodian), and Burmese. The only reason Lao isn't on there is because most of the Lao who are literate can read Thai. This was my dinner at a restaurant in Chiang Mai's extensive outdoor night market. I mean, I did share some of it with the coworker traveling with me, but not much. It was delicious. For those of you wondering where the Burger King's spouse is, the answer is "Chiang Mai, Thailand." This is literally just around the corner and down the street a little from the Burger King in Chiang Mai, near the Night Market. You've heard of "chicken of the sea," but apparently there is also a "pig of the sea" and it's for sale in a Chiang Mai street vendor's cart. I'm not sure exactly how a Lao magic carpet is different from a magic carpet as found in Arabian Nights. Probably a lot less sarcastic and more subservient. If I die of food poisoning, it will be because I love eating street food like this. The chicken was delicious and it was fully cooked. I'm still alive, so it must have been okay. Oh, and Schewepe's ma-nao (lime) soda is amazing. My children rode this very same Ferris wheel back in 2010 when we went to Vientiane as a family for Lao New Year. I couldn't believe I found it, especially since I wasn't even looking for it. But I suppose stuff like that happens when you wander somewhat aimlessly through Vientiane. What's so amazing about this idyllic, lush location? It's located right smack in the middle of the city. Yeah, I got a little lost following the directions on my phone trying to get to the Hard Rock Vientiane. But it was really cool to see this in the middle of the city. For those of my loyal readers who cannot read Lao, the name of this restaurant is Four Guys. I've been meaning to take a picture of one of these restaurants or food carts for years. They are all over Bangkok, but imagine my delight when I found this actual Four Guys restaurant on a corner in Vientiane! For the record, I have not tried their noodles, but I'm confident I would not find whatever they serve as satisfying as my beloved Five Guys. Vientiane is progressing. 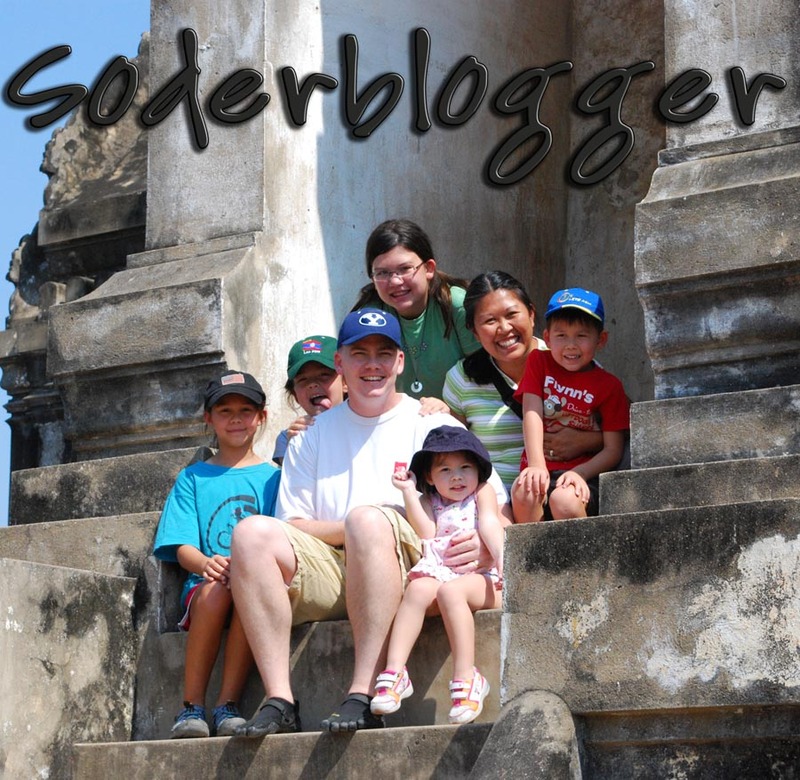 When I first visited Laos in 2006, there were no movie theaters in the country. Now there are two theaters in Vientiane that show current movies. And you might not be able to see it, but those movie posters are in Lao (and English, obviously). I'm pretty sure the movies are either dubbed or captioned in Thai rather than Lao, but I was so stoked to see the posters in Lao. If I had a little more time, I would have actually watched one of the movies, but I had other things to do. Given that I have a picture above that shows what looks like a jungle in the middle of the city, should anyone really be surprised that I found deer tracks in the cement on a sidewalk along one of the main thoroughfares in Vientiane? This is a picture for my youngest daughter. One of the things she loves to say in Lao is ມາເດີ້ ມາເດີ້ ມາກິນເຂົ້າເດີ້ ("Come, come, come on and eat!"). The name of this pho restaurant is ມາເດີ້--Come! When I showed her the picture, she knew immediately what it said, even though she doesn't read a lick of Lao. Every thing at this K-Mart is a blue light special. Only in Laos would you find a rustic pavilion like this in front of a dilapidated, graffiti-covered abandoned building. Curious that none of the graffiti is in Lao. This Four Sisters is definitely not the same as the Four Sisters in Virginia. This statue of Chao Fa Ngum, one of the greatest kings in Lao history, founder of the Kingdom of Lan Xang. This statue was right across the street from the hotel I stayed in. And the sky was just beautiful for this picture. Somewhere between Laos and South Korea. It was just so beautiful and peaceful, almost like you could lay down and fall asleep on those fluffy clouds. Thank you, Burger King in Incheon Airport, for having the spicy Shrimp Whopper. I saw it on the menu on my way out to the region, but I had already ordered and paid for my food, so I had to try it on my way home. It was delicious. Burger King here in the United States might want to give it a try. Just a suggestion. miles after you see a sign like this. I honestly debated whether the title of this entry should be "The Dumb Things We Do Because of Our Friends," but after reading this you will hopefully agree with my decision to go with the title that I did. 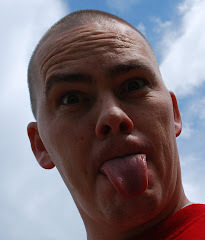 And it should come as no surprise to anyone that this blog entry will deal with running. You know, just like both of my posts from last year (see here and here). It's not like any of us have never been in trouble or have done something stupid made some poor decisions because of our friends. You know, like a 15-year old kid getting kicked out of Timpanogos Cave National Monument because of something dumb his friends did and his youth leaders decided he was guilty by association. But I'm not talking about something hypothetical like that where you got in trouble or did something foolish because of your friends. I'm talking about the things we do with our friends, knowing fully well ahead of time that it might be difficult, dirty, and perhaps even painful. You know, like a Tough Mudder. 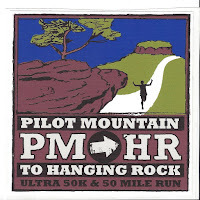 Or a 50-mile ultramarathon. I thought a bit about this particular subject during my training runs--I've had some interesting thoughts while running before--and I realized that I started running races twenty-two years ago because of a friend. Way back in 1995, I had a PE class at BYU that required I run a mile-and-a-half for my grade. Throughout that semester, my roommate and longtime friend Rob and I ran together because I wanted to get an A and Rob was getting in shape for soccer tryouts. Two weeks after the semester ended, Rob called me and asked if I wanted to run The Salt Lake Classic 10K. I didn't even know how long a 10K was--Rob's answer when I asked was, "Uh, it's like five miles or something like that"--and I said, "Sure!" and I've been running races of varying distances ever since. For the record, that first 10K still stands as my fastest time at that distance so far. Probably always will be, but that's not the point. Remember that 50K back in April that I mentioned earlier? 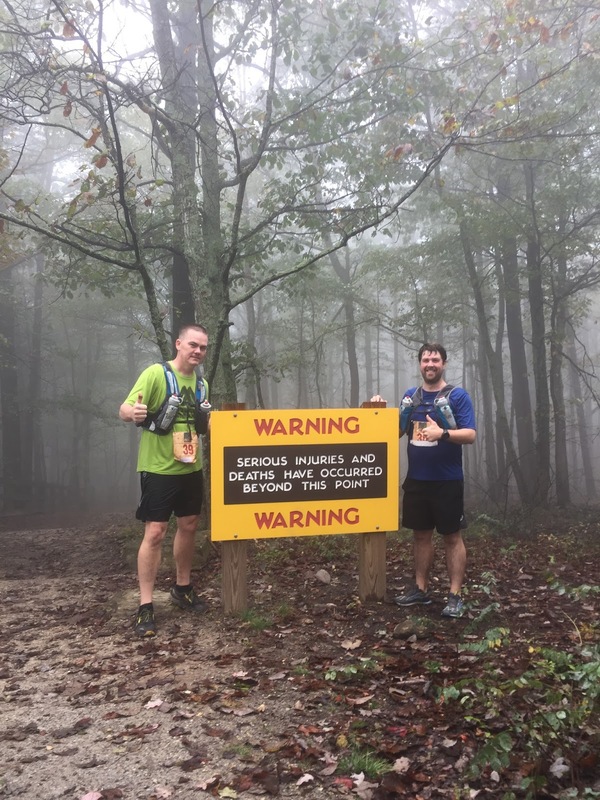 It was a miserable second half of the race for me, and immediately after I texted my friend Kenny and said there was no way I would even consider another ultra ever, let alone the PM2HR race in October. I'm not totally sure, but it might have had something to do with puking on the school bus that was taking me back to my car. That same night, after a delicious and necessary recovery meal at Five Guys (where else?) 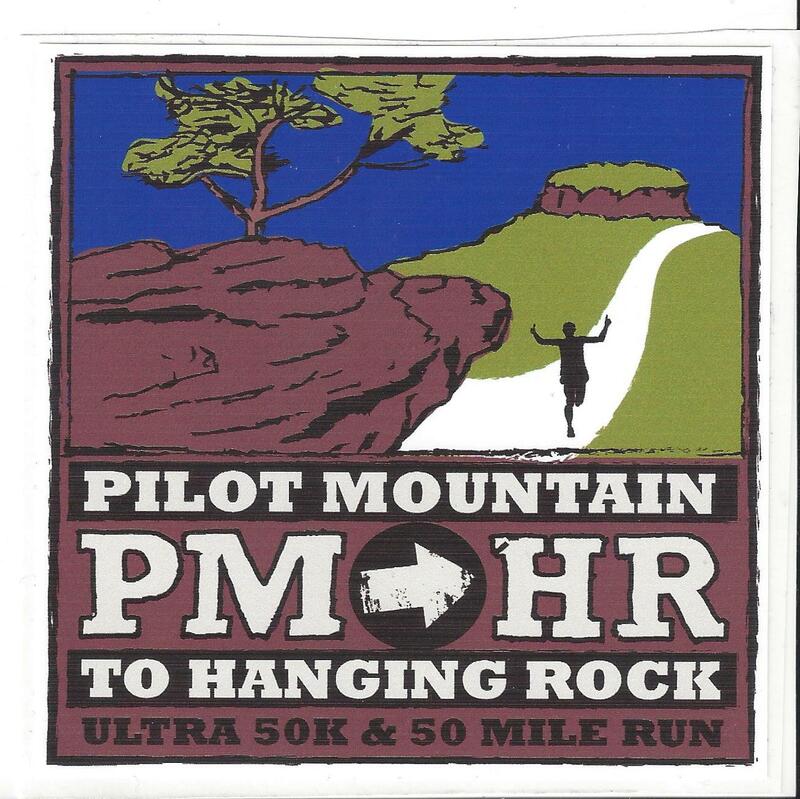 and a plethora of text messages back and forth, the last thing Kenny texted me before I went to bed was, "When you wake up tomorrow and come to your senses, go sign up for Pilot Mountain." And because my dear Mali was in Utah for a wedding and wasn't there to talk me out of it, I signed up. I'm grateful that Mali went down with me; driving to North Carolina by myself would have been incredibly boring, and there was always the possibility that I wouldn't be able to drive myself back home the day after the race. She got to hang out in Winston-Salem while we were running, but I think it's still an open question as to which one of us had more fun that Saturday. I'll say it was probably me, but I think Mali might say that she had more fun. She might be right, but I got a hoodie for the race, so in my opinion I came out ahead on that argument. up thehill from the cover of the fog. The story of the race was the same story of so many ultras. There was some weather to deal with: we started in the dark, ran through the fog at the top of Pilot Mountain, had some long stretches of sunshine with little shade and finished in the dark (at least there wasn't rain, snow, and sleet like I had at The North Face Endurance Challenge 50K last year). There was physical adversity: Kenny got stung on the leg by a yellow jacket before we hit the first aid station and that caused a bit of discomfort. Add to that, Kenny wasn't able to train as much as he would like because life got in the way and he also ended up with hyponatremia--ask me about that one, I know far too well how that thing works--meant he had to drop out after 50K. 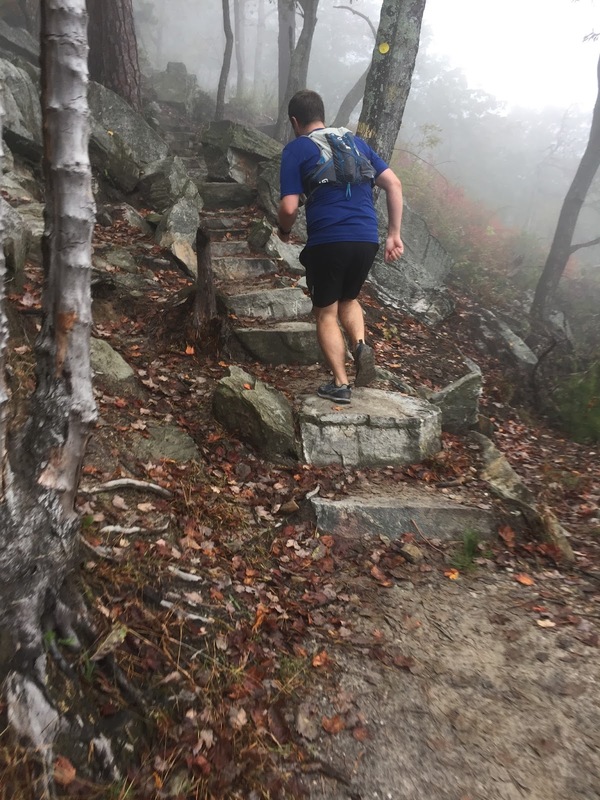 This race had two serious climbs that reached upwards of 2,400 feet. Each. 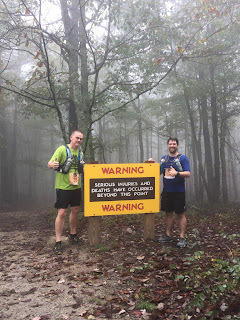 The total elevation gain for this course was officially over 5,200 feet, but we think it was closer to 6,000 when you factor in all the smaller ups and downs. And you had to come down from those heights, too, which can be just as taxing on your quads as the climbs and are undoubtedly harder on the knees. And before anyone, especially Kenny himself, thinks anything less of Kenny for dropping out at 50K, I want them to think about it: he had only run twice in the month preceding the race because of family and work obligations, but he still completed 50 kilometers. That's THIRTY ONE MILES. Seriously undertrained and Kenny still finished thirty one miles. Kenny is a beast. This is the same guy who finished a 50K with me back in 2014 while suffering the effects of Lyme disease (he didn't know he had it). I would have tapped out at 10, maybe 12 miles. He also deserves kudos for recognizing that pushing any further would have caused him injury. I sincerely appreciate his encouragement for me and insistence that I push forward and finish the 50 miler without him. I've been where he was, and it's not easy, especially when you have the fire in your belly to finish the race. There is no shame in a DNF* for an ultramarathon. Anyone who says otherwise is a fool. pretty stinkin'. And that's awesome. 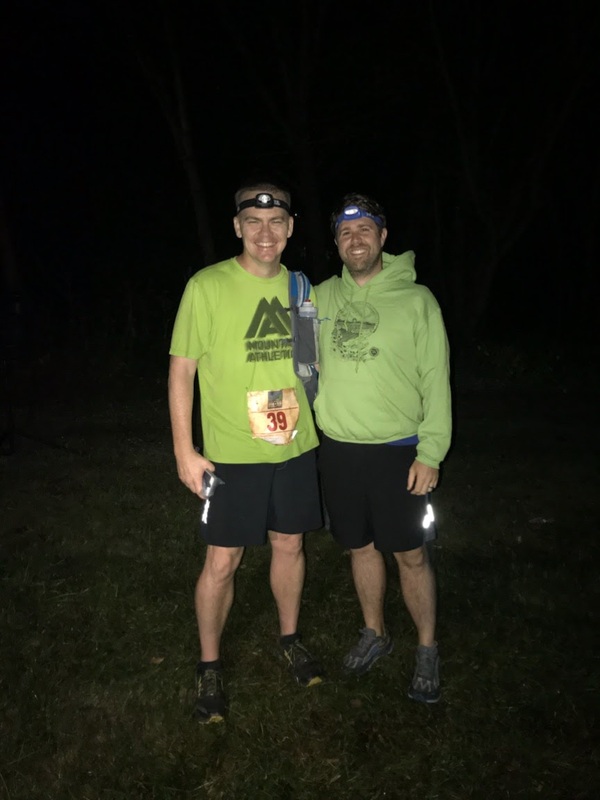 So I finished the race, and I had told my wife and my friends and my coworkers that this would be my last ultramarathon. Yeah, I know, I've said that before, but this time I really meant it. I really meant it right up until Sunday morning when Kenny and I were doing our usual post-race postmortem and talking about what we would do differently next time. Kenny told his wife that he wants another crack at the race because he wants redemption. I told Mali and I want another crack at the course because I want to finish the race before the battery on my Suunto Ambit dies (I have never been fast, but I think I could shave a couple of hours off this race). But I also recognize that I have some other pretty serious obligations coming up, so I got Mali's permission to try PM2HR again in 2019. That gives me two years. *DNF = Did Not Finish. I know that someone out there is thinking, "Really? It's the second week of October and you're just writing about your summer now?" My response to that is, "Yeah, I am." For starters, we just got back from a quick family trip down to the lake, and even though it's early October, it was in the 80s and felt like early September. And second, look over to the right and notice when the last time I actually posted to my blog; it's been more than TWO YEARS. It's practically a Halloween miracle that I'm writing at all, so thank the Great Pumpkin and let's move on. May: I went to the Outer Banks with some good friends to celebrate one of those friend's birthday with some fishing in the ocean. I only got marginally seasick, but I didn't puke. For the record, I caught a 40 pound amberjack. It was delicious. Yeah, I caught that. It was exhausting. Typical hot, sweaty American in Bangkok. June: As much as I hate to, I had to go to Thailand and Laos for work. Should I have put something in there to indicate that the previous sentence was supposed to be sarcastic? Because I actually love going to Southeast Asia. Anyway, I have a separate post to write about that adventure because it's Thailand and Laos. July: We spent some time at a friend's place up in the hills of West Virginia. True to West Virginia traditions, we shot stuff. It was pretty awesome. It's important for your ear pro to match your outfit. Katniss Everdeen, eat your heart out! August: My daughters dyed my hair at girls camp, because blondes are supposed to have more fun, and because I made a deal with them. We also hung out with our awesome friends and had an awesome time because our friends are awesome. See, I'm literally having more fun, you can see it on my face. This is a seriously shady lot. Trust me. September: I took Anne back to BYU-Idaho for her junior year of college. When did I get old enough to have a junior in college? While I was back in Utah, I went golfing with my dad and brother. Just as important, I got to spend some time in my beloved Utah mountains. Bell Canyon waterfall and some dork from Virginia. Beautiful mountain lake--how did I not know about this place when I was growing up in Utah? Last, but certainly not least, we got a dog.